This week, some very prominent Catholics have passed into eternity and we remember them in our prayers. 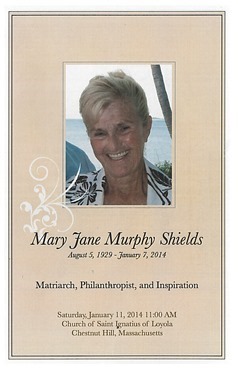 Mary Shields, after a very long illness, was buried last Saturday and I was happy to be able be to at the funeral celebrated by Father Mark Creegan. We were there with Mary’s seven children and 21 grandchildren as well as many friends. 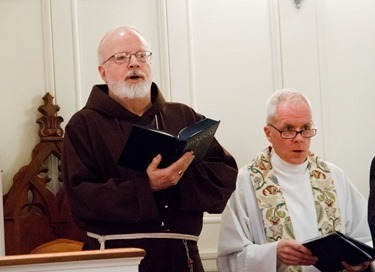 As I commented before giving the final commendations, for priests it is not easy to preach the hard words of the gospel to the people, because the demands of the gospel are, at times, very great. However, when you see the life of someone such as Mary, who has generously embraced discipleship and struggled to be faithful to those ideals, and all the good that has resulted from it, it makes the priest’s ministry all the more fulfilling and is certainly a great source of encouragement. Two other people who passed away this week and are also wonderful examples of very dedicated Catholics are Peggy Nolan, the wife of the late Judge Joseph Nolan and former Attorney General Robert Quinn. Attorney General Quinn was for many years a leader in the Commonwealth and an outstanding Catholic layman. We pray for their eternal repose. We also pray that the witness of their Catholic life will inspire other people to embrace the ideals of the Gospel and live them out generously and faithfully in their families and their professional lives. 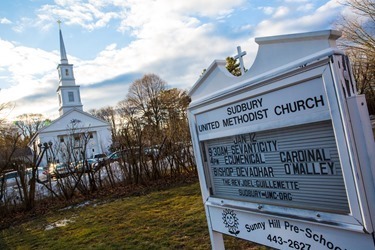 Sunday, I was invited to preach at an ecumenical service that was held at the Sudbury United Methodist Church. 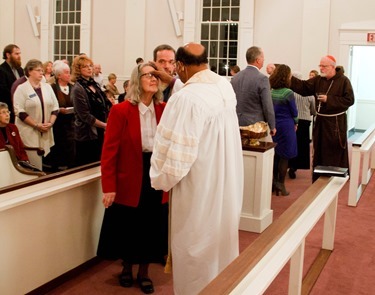 The communities of Our Lady of Fatima parish in Sudbury and the Methodist church came together to commemorate the visit of Cardinal Cushing 50 years ago, during the time of the Second Vatican Council. 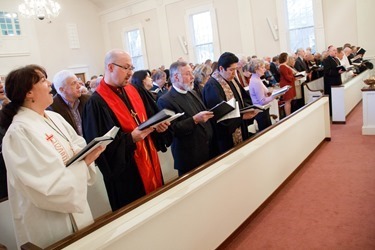 I was touched that a Protestant congregation would cherish that memory of the visit of a Catholic bishop, so I was very happy to be part of the celebration. We were honored to be joined by United Methodist Bishop Sudarshana Devadhar; the pastor of Sudbury United Methodist Church, Rev. Joel Guillemette; and Father Richard Erikson; and the community from Our Lady of Fatima. Father Tom Kopp was also there with some of his parishioners from Saint Anselm’s Parish. 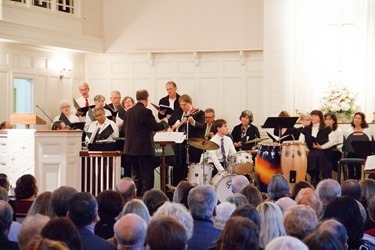 The celebration was essentially a Bible service with hymns and Scripture readings, followed by a renewal of baptismal vows, because the service was held on the Feast of the Baptism of the Lord. 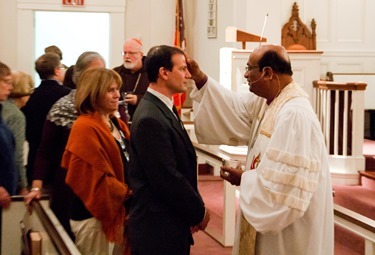 The people came up and Bishop Devadhar and I put a cross of water on their forehead as a reminder of their baptism. Of course, baptism is one of the elements of our faith that we share in common with the Methodists and other Protestant denominations. 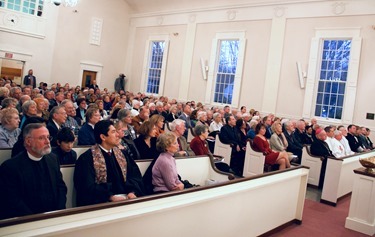 The church was filled and they had an overflow crowd in the church hall watching the service on closed-circuit television. Afterwards there was a gathering the church hall. The restoration of unity among all Christians is one of the principal concerns of the Second Vatican Council. Christ the Lord founded one Church and one Church only. However, many Christian communions present themselves to men as the true inheritors of Jesus Christ; all indeed profess to be followers of the Lord but differ in mind and go their different ways, as if Christ Himself were divided. Such division openly contradicts the will of Christ, scandalizes the world, and damages the holy cause of preaching the Gospel to every creature. But the Lord of Ages wisely and patiently follows out the plan of grace on our behalf, sinners that we are. In recent times more than ever before, He has been rousing divided Christians to remorse over their divisions and to a longing for unity. Everywhere large numbers have felt the impulse of this grace, and among our separated brethren also there increases from day to day the movement, fostered by the grace of the Holy Spirit, for the restoration of unity among all Christians. This movement toward unity is called "ecumenical." Those belong to it who invoke the Triune God and confess Jesus as Lord and Savior, doing this not merely as individuals but also as corporate bodies. For almost everyone regards the body in which he has heard the Gospel as his Church and indeed, God’s Church. All however, though in different ways, long for the one visible Church of God, a Church truly universal and set forth into the world that the world may be converted to the Gospel and so be saved, to the glory of God. The Sacred Council gladly notes all this. It has already declared its teaching on the Church, and now, moved by a desire for the restoration of unity among all the followers of Christ, it wishes to set before all Catholics the ways and means by which they too can respond to this grace and to this divine call. In today’s world, people who are trying to live their religious ideals need to support each other in a society that is becoming more and more hostile to the Gospel and the principles of Christianity. 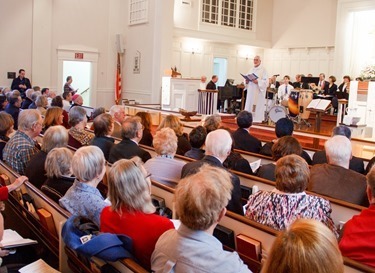 It was very encouraging to see the great spirit of camaraderie and fellowship that existed among the Catholics and the Methodists who were there, as well as the representatives of other denominations who were present. It was a very moving ceremony and I was very honored to be asked to be part of it. 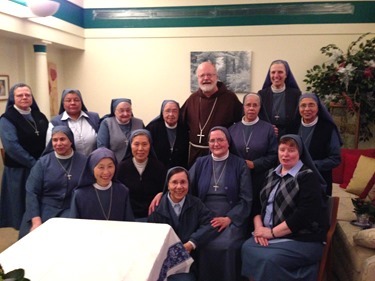 That evening, we had dinner with the Sister Disciples who, each year during the Christmas season, host a dinner for a number of our priests. Of course, the Feast of the Baptism of the Lord marks the end of the Christmas Season, so the sisters got their dinner in just in time! 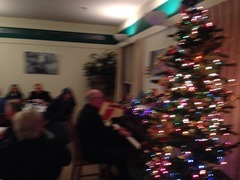 Father Paul Rauch was there and we had an enjoyable time with him leading us in singing Christmas carols and, as always, the Sisters prepared a wonderful meal for the priests. 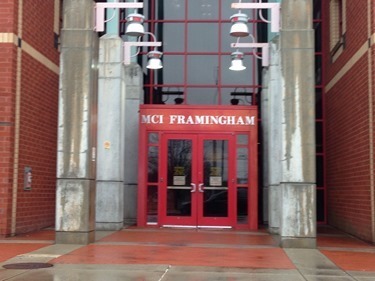 Tuesday, I visited MCI Framingham, the state’s correctional facility for women. Sister Maureen Clark and her cadre of volunteers do an extraordinary job of ministering to the women there. We were accompanied by our Director of Chaplaincies Deacon Jim Greer and two seminarians during our visit, Tom Sullivan and Tom Gignac from St. John’s Seminary. During the visit, we had a Mass with the inmates, during which I had the opportunity to Confirm a number of them. We spent the whole day there and I visited those in solitary confinement, the detox area, the medical units, and also those in the psychiatric unit. During such visits you, meet many different people in hear many moving stories. One encounter in this visit that I recall in particular was speaking to a woman who had been in prison for many years. However, she was soon to be released because the person who testified against her at the time of her trial admitted on his deathbed that he had testified falsely. Stories such as this make you wonder how many innocent people are suffering in prison as a result of a miscarriage of justice. 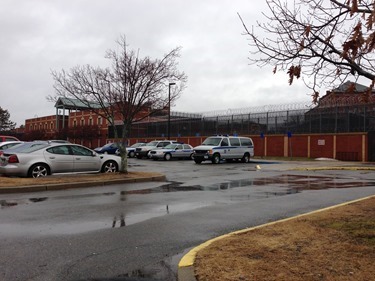 I like to visit the prison during this time of year because, especially for the women who are mothers, the separation from their children and their families at Christmastime is always a very large cross to bear. Sister Maureen is the merciful face of the Lord and the Catholic community to these women. We are so blessed to have had her there ministering for so many years. 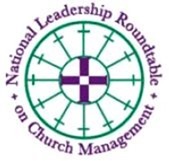 Wednesday, I was visited by Geoffrey Biosi and Kerry Robinson of the National Leadership Roundtable on Church Management. The Leadership Roundtable is a group that helps dioceses and parishes improve their administrative practices by drawing on the expertise of lay Catholic business leaders. They came to speak to me about the work they are doing an update me on some of their activities. Thursday I was visited by Rabbi Noam Marans, Rob Leikind and Mel Shulman of the American Jewish Committee. Rabbi Marans is the AJC’s national director of Interreligious and Intergroup Relations, Mr. Leikind is director of the Boston AJC and Mr. Shulman is president of the Boston AJC. 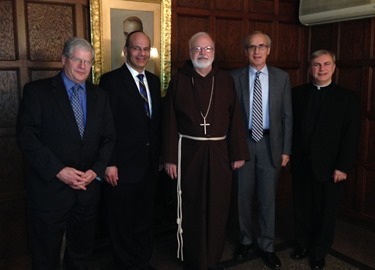 They were accompanied by Father David Michael, the director of our Office of Ecumenical and Interreligious Affairs. This week Catholic News Service published the wonderful video below on St. Paul’s Choir School in Harvard Square. It is the only Catholic boys choir school in the country and we are proud of the great work they do there and in all of our Catholic schools in the Archdiocese of Boston. Catholic Schools Week is coming up from January 26 – February 1 and there are open houses and special events at all of our local Catholic schools. It is a great opportunity to learn about what makes a Catholic education unique for your children. Catholic students excel academically, but we are proudest of the whole-person Catholic formation our schools provide to their students in partnership with families. Please consider a visit this year if you have school-age children. This week, we are also gearing up for the March for Life in Washington on January 22. We are all very excited that the largest group of youth ever from the Archdiocese of Boston will be accompanying me to the March next week. Of course, we will also be joined by a number of other local groups from parishes, campus ministries, the Knights of Columbus and Mass. Citizens for Life. 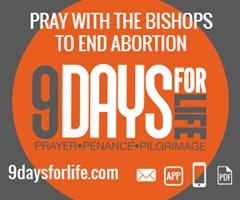 I also encourage everyone to join in 9 Days for Life, a period of prayer, penance and pilgrimage from January 18 – 26. The center of this effort is a novena which will include daily prayer intentions and related content that people can subscribe to in either English or Spanish at www.9daysforlife.com. Other materials are also available on the USCCB website. 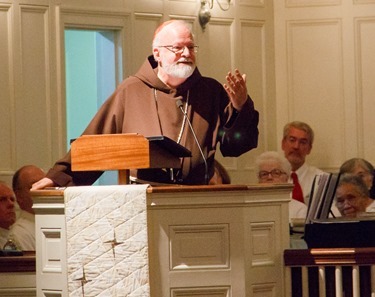 As part of this focused period of prayer, we are also encouraging everyone to participate in local events that may be taking place, such as Masses, Holy Hours, blessings for pro-life pilgrims, or a Holy Hour for healing for all impacted by abortion, which parishes are encouraged to hold Sunday, January 26. Here in our archdiocese, people can take part in events such as a Holy Hour for Life being hosted in many of the parishes of the archdiocese in the days around the March. And, finally, tomorrow at the Cathedral the Holy Cross we will be ordaining nine men as transitional deacons: Jeffrey Archer, Steven Clemence, Peter DeFazio, George Fitzsimmons, Kevin Hickey, Karlo Hocurscak, Mark Storey, Lawrence Tocci and Jiwon Yoon. These are men who, God willing, will be ordained to the priesthood in May. I invite you all to join me in praying for them as receive the Sacrament of Holy Orders and take this penultimate step toward the priesthood.